Cornwall boss Graham Dawe says he will be shocked if his side miss a fourth successive County Championship final. The Duchy's 23-15 victory over Hertfordshire on Saturday means Cornwall are the only side in their group with a perfect record. They face Surrey next Saturday in their final pool game. 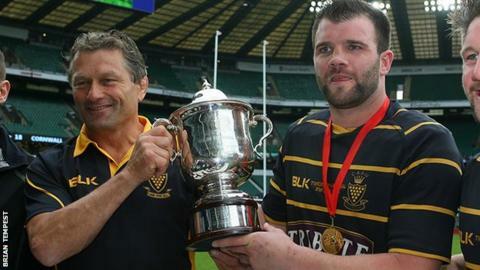 Dawe's comments were echoed by skipper Kyle Marriott, who, as well as winning last season's county title with Cornwall, also won the tournament with Devon in 2007. "I'm pleased with the grit the boys showed," said Dawe. "At times we were under the cosh and spent a lot of time in our own half, but we were able to get out and come away with the win. "Hopefully we can get another good win next week, but there's another 80 minutes of rugby to go and we just need to prepare well. "The good thing is we know we're still not anywhere near where we could be, so for me that's really exciting."